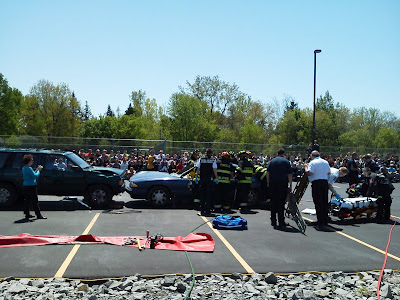 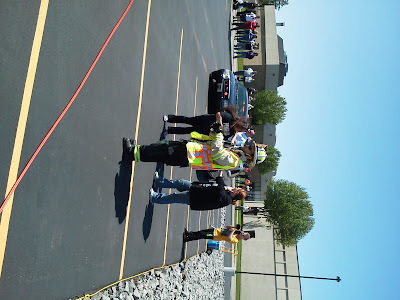 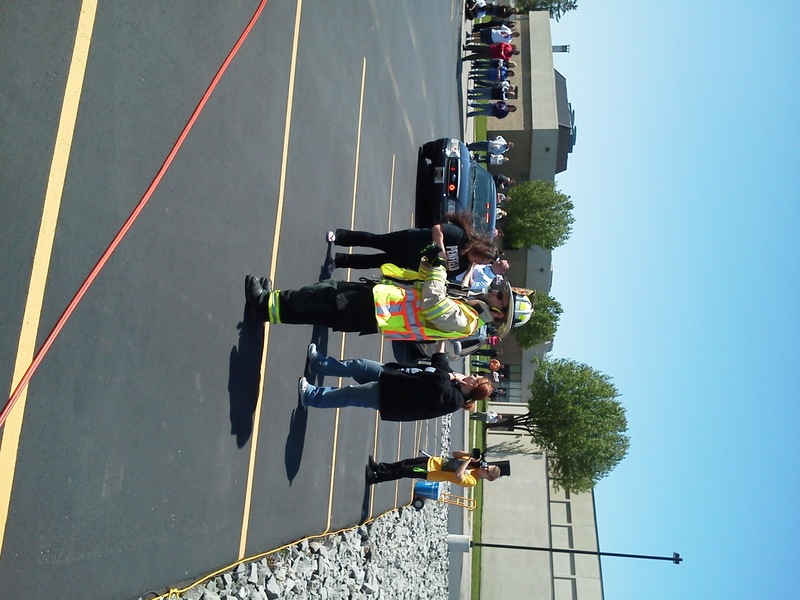 Volunteers from the fire company, ambulance, and Monroe County Sheriffs participated in the high school's DWI crash today. The crash was to simulate the repercussions of a drunk driving accident fatally involving class mates. 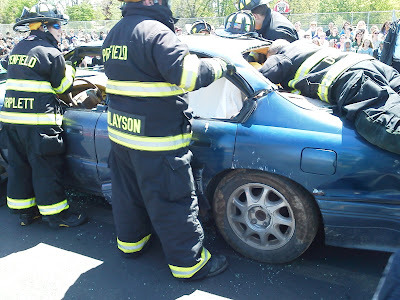 In the drill the fire company proceed to cut out 4 victims from a car by taking off the doors and roof via the Hurst tools.